Only recently I have begun to participate in craft exchanges which has been very inspiring and humbling. The first exchange was a Christmas swap with Kya of Clutch Creations from New Zealand. 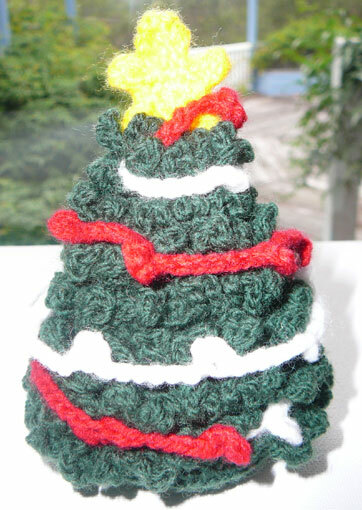 Her creation is this crochet Christmas Tree. It has flounces to give the impression of ruffled branches and garlands with little picots to represent baubles. On top is a tiny gold star. This is gorgeous and so beautifully made. It is still out and giving delight. Folllowing soon after came this summer swap with Anita, also from New Zealand. Her offering was a handstitched book with a watercolour cover. 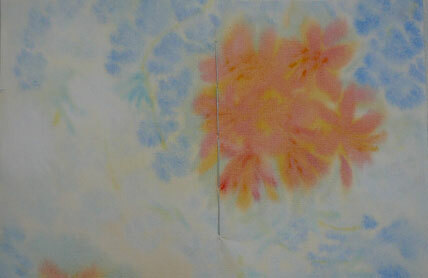 The end papers also watercolour marbling. Inside, on the first page, she has placed a very beautiful quotation from Rudolf Steiner. Such a special book and one that is treasured. Autumn is here and here too these exquisite little characters made by Peggy Bloom. Their simplicity and the delicate work is amazing. I love them. These peg dolls are tiny and yet have so much character and personality. How stunning is the little owl cap. 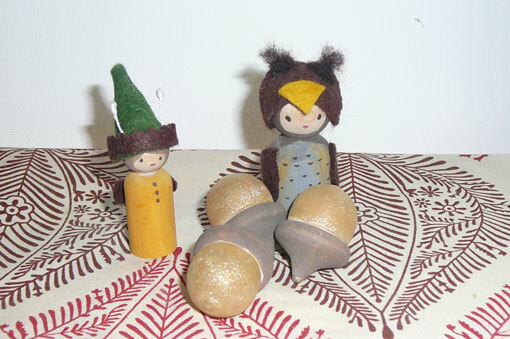 Included in the packet were the three acorns and the lovely mat. Acorns have been a long held favourite, and part of our family tradition. Peggy seems to indicate so much detail in so few strokes that is very, very awesome. Words seem inadequate to express the joy of connecting through heart and hands with other crafters. Winter has brought another exchange, this time with Paisley,from www.fairyring.com.au . 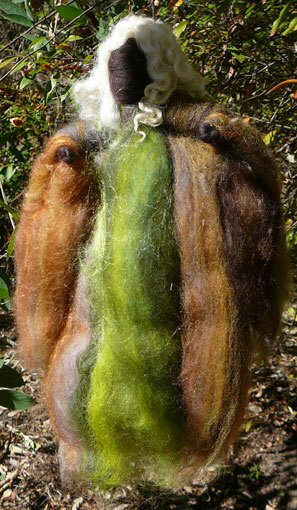 So impressed with her Waldorf-style creation of Mother Earth. This is such an organic piece that perfectly reflects the colours of nature, as the picture (top right) reveals. This is such a powerful piece. The material, colours, style all so perfectly natural- of and from nature and are Nature . So which came first ?